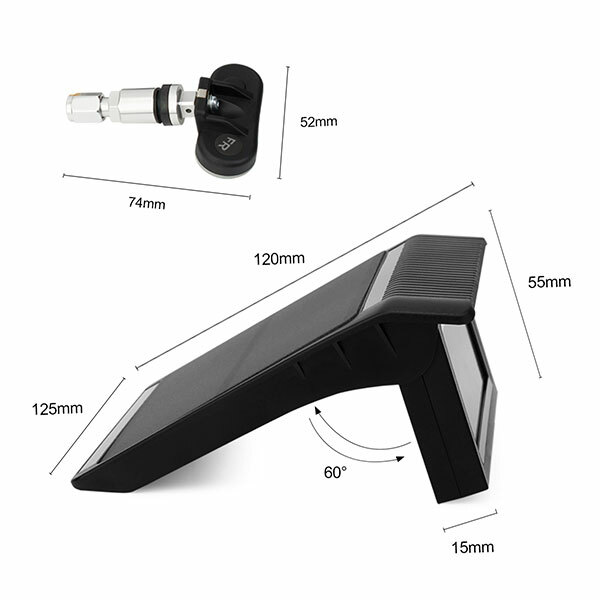 TPMS T501 is new product designed and produced by V-checker technology. Adopting Infineon solution, our TPMS device mainly consists of 4 tire sensors modules and a 4” LCD color screen monitoring the vehicle status and showing all related information such as tire pressure & temperature in real time. Also a L-capacity rechargeable battery is inserted inside the host (or we say the main device) and a high-efficient solar panel is equipped as well. And the integrated circuit board built-in is designed for low power consumption. With all 3 delicate elements above, the endurance of the device is up to 45 days, which offers profound assistance for long road trips. 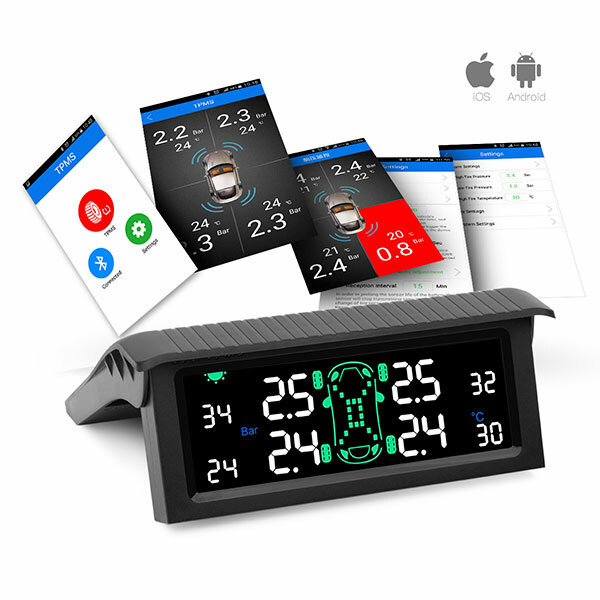 What’s more the TPMS can be connected with your intelligent mobile phone via our self-developed Android and iOS Apps available in Google Play and App Store. 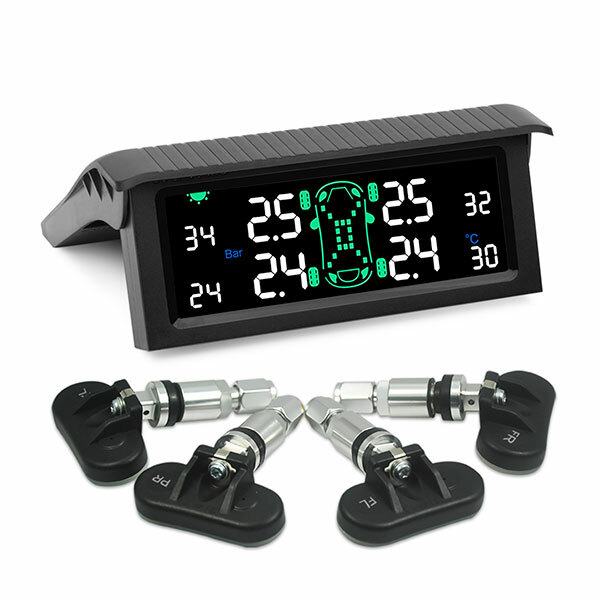 Multiple Placements -- On Dashboard or On Windshield. 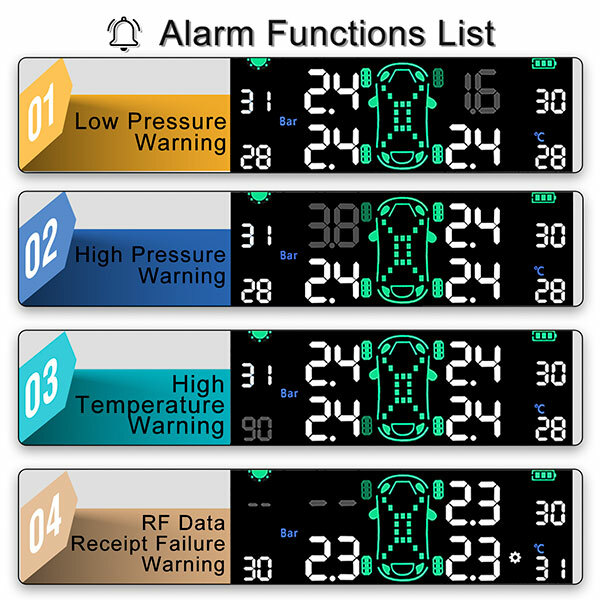 Multiple Status Monitoring and Real-time Warnings Upon Any Abnormal Situations. 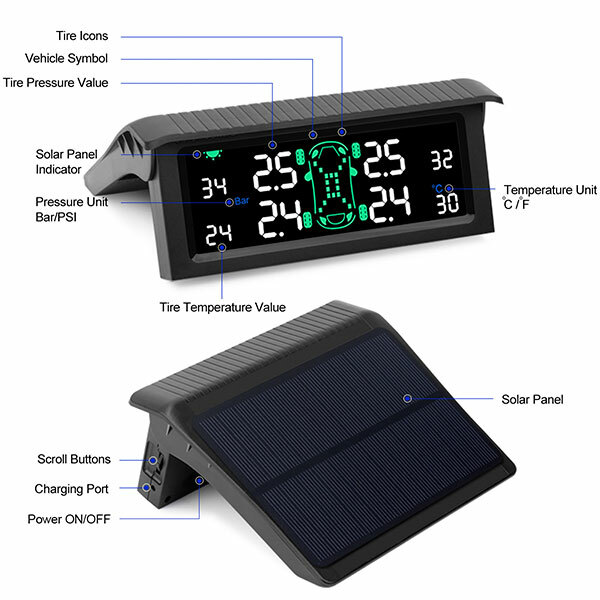 High Efficient Solar Panel and Large Capacity Battery Support Continuous Usage for 60 days. 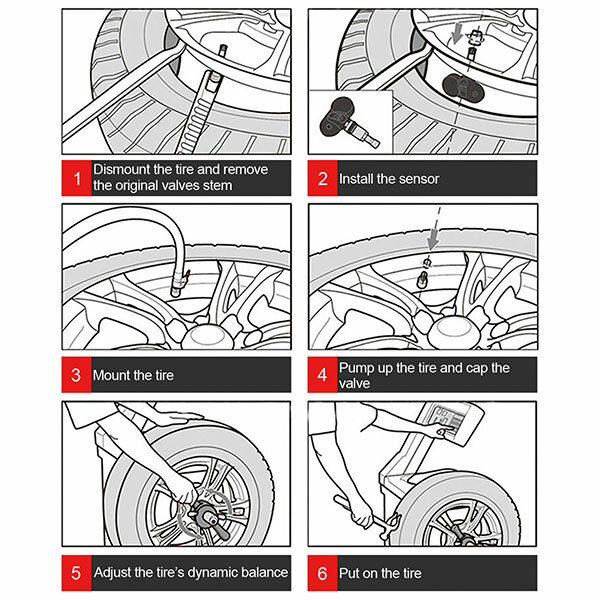 improve fuel efficiency, increase tire life and traffic safety.